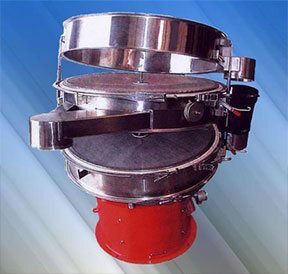 AFF and our sister company Sifter Parts & Service manufactures a complete line of sifting equipment. 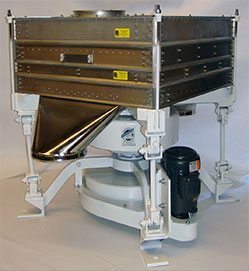 Weather you need a small batch sifter or a main silo sifter, we have a machine that will fit your specific needs. Our sister company, Sifter Parts & Service Inc. is the current manufacturer of the model CS-1 gyratory sifter, formally known as the Allis Chalmer, Ferrell Ross, or Blunt gyratory sifter. 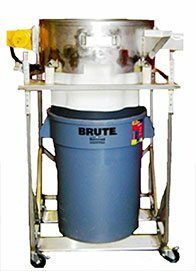 The CS-1 sifter is an all metal machine capable of providing from one to four separations of any dry product from 1/4″ down to 400 mesh. The gyratory motion of the sifter provides a passive, gentle screening while keeping the product in contact with the screen at all times for maximum capacity. The sifter has the ability to screen up to 50,000 pounds per hour. The CS-1 can provide from 10 square feet of screening surface to up to 35 square feet, all in a 4′ x 4′ print. AFF’s new all stainless steel portable reclaim sifter incorporates many innovations to make this your easiest and most efficient tool to sift small batches of dry product. It can be operated sitting on top of a heavy-duty plastic container or 55 gal. drum, or using the optional adjustable rolling base. A variable force motor, counterweights, and oversized rubber vibration dampeners mean quiet operation. A custom RCN output dust chute allows easy changes between collection containers. One framed screen, the overs spout with sliding shut-off door, and two container shelves included. Round sifters use a special motion created by a patented motor to achieve their low impact sifting action. 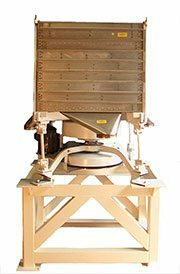 While not as efficient as traditional brute force vibrating screens, the circular sifter features compact sifting and is ideal for spaces where inline sifting is required. Each circular screener is custom assembled from our wide array of options, to match your particular requirement.